From its inception in the 70’s Hip-Hop has been the undercurrent influencing every generation, color, and creed on a global scale. Serving as a vessel for the voiceless, Hip-Hop music became the soundtrack to the minority experience in America; depicting the harrowing reality of poverty, oppression, displacement, and violence that many Black and Latino communities endured from day to day. What spawned from this became movement music; empowering, and even elevating those who ingested the culture. Thanks to one of the various mediums, film, we’ve been able to capture the essence and evolution of Hip-Hop and its key players. The Hip-Hop House film series will use this vehicle as a tool to push conversations and ideologies around the music in an effort to preserve it legacy and continue its expansion. O Cinema & Hip-Hop House is proud to present TUPAC: RESURRECTION! 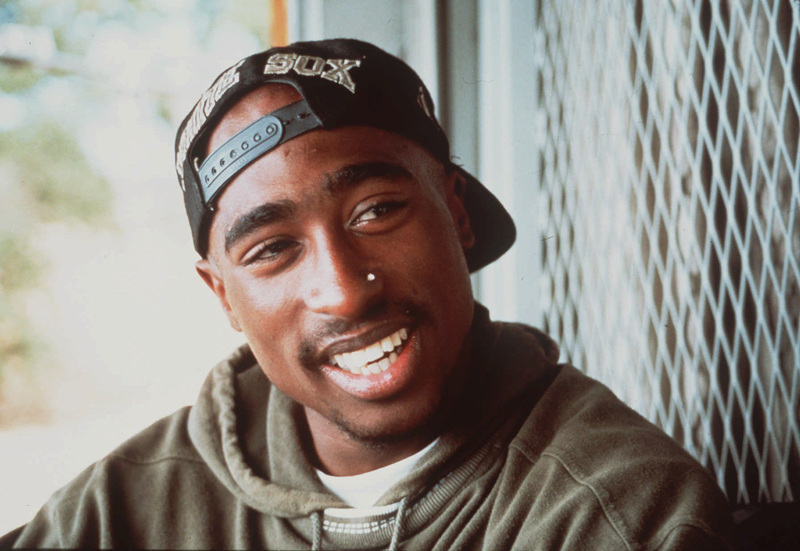 The first authorized documentary about the life and times of rapper Tupac Shakur, this Academy Award-nominated film captures the music and art he created, and the revolutionary ideas he voiced before his death in 1996. Through personal home movies, photographs and recited poetry, the story of Tupac Shakur, one of our most beloved, gifted and revolutionary rappers/writers, comes alive. TUPAC: RESURRECTION tells the tale of race, class, and celebrity through the eyes of the artist, while providing a contemporary context of what’s going on in the world today. Immediately following the movie, there will be a post-show Q&A with special guests & the Celestial Cipher lead by our MC of Honor, James Klynn! The Celestial Cypher is composed of homegrown talented Mc’s displaying their skills to set off the evening! James Klynn is a writer, producer, and educator born and raised in Brooklyn New York. At the age of thirteen, the state of New York removed him and his three younger siblings from his parent’s custody due to his parents being victims of drug abuse. At the age of 17, his aunts relocated them to South Florida. It was there that a High School teacher noticed his gift in writing and encouraged him to take writing seriously. James’ work is centered around his life experiences, relationships and spirituality. In these last few years living in Miami, James has created training curriculum based on the principles and elements of Hip Hop and creative writing, He has also opened up for Saul Williams, Aja Monet, Jasmine Mans, Shanelle Gabriel, Yasiin Bey(Mos Def), and Talib Kweli. He is also the Visionary and Musical Director for “BLCK” where he has organized a group of sixty, community leaders, artists, and business owners for a week-long program to Havana, Cuba where the built relationships and learned new models for community engagement, politics, and art. James has performed at various venues such as The Fillmore Miami Beach at Jackie Gleason Theater, The Stage, Lagniappe, Studio 504, Adrienne Arsht Center for Performing Arts Center, Smoke Signals Studio, Lou Rawls Performing Arts Center, the ARC, Studio 301. James has also worked with MTV, VH1, The Dream Defenders & NAACP.